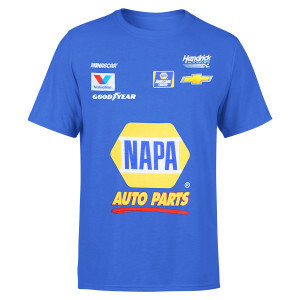 Your race day wardrobe will take first place when you rock this Chase Elliott NAPA Uniform T-shirt from Checkered Flag. 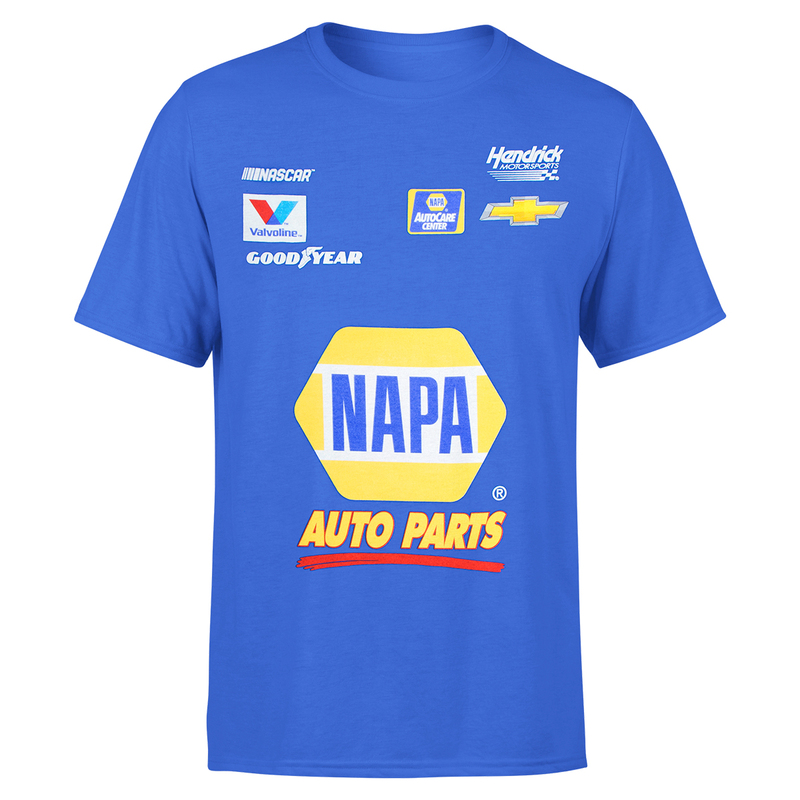 This soft tee is perfect for cheering on your favorite driver on the track. It features bold, screen print graphics that will be sure to let everyone around you know that you take two things seriously: Chase Elliott racing and style.